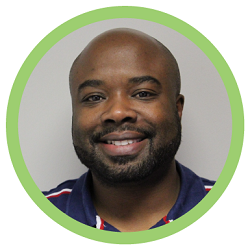 Phillip brings two decades of experience working with teens and young adults to his position at Nebraska Children and Families Foundation. Phillip previously served as the Program Director at the Partnership for Kids, where he managed a team of program managers and specialists, monitored the agency's progress related to the mentoring program, and maintained active involvement with family engagement and student interaction and retention. Now, Phillip oversees several contracts with service-providing agencies to ensure quality programming and that outcomes geared toward helping young adults with foster care experience are reached. Additionally, he manages a team of staff that connects young people in need to the array of services that will best suit their needs and move them to their goals as independent adults. Phillip received his Bachelor's in Public Administration from University of Nebraska at Omaha and his Master's degree in Public Administration from Bellevue University.